Jim Jarmusch has done genre cinema before with his weird Western Dead Man and his bushido hitman film Ghost Dog: Way of the Samurai. And for his next film, he's giving wampyrs a whirl for a "crypto-vampire love story." Michael Fassbender, Tilda Swinton, and Mia Wasikowska have been specified as the vampires in this untitled film, which takes place in Detroit and Tangiers. John Hurt's also onboard for an unnamed, presumably human role. 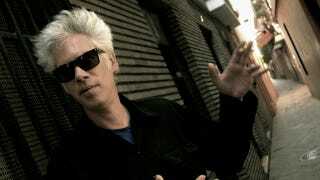 I'm psyched for this, as Jarmusch has served up some enjoyably idiosyncratic interpretations of familiar genres. With vampires being as ubiquitous as, well, zombies these days, hopefully the director will deliver a hemoglobin-tinged palate cleanser. In other critical darling bloodsucker news, Saoirse Ronan and Gemma Arterton will play nosferatus in Byzantium, a family drama directed by Neil Jordan (The Crying Game). The film, which is based on a play by Moira Buffini, is about a mother who turns her daughter into a vampire, and the immortal duo pose as sisters to blend in.